Complimentary valet parking is located in the porte-cochere at the entrance to the 5 Palms Building. Lunch up to 150 guests. Dinner up to 50 guests. We cater to all dietary needs and restrictions. Includes - Brioche Toast Points, Buckwheat Blinis & Crème Fraîche, 2 glasses of "JP Chenet Brut Blanc des Blanc"
Great bar scene, nice restaurant and love the menu. Although I felt the service was rushed, maybe because we had a late reservation, But still she was nice. Dont get fooled by the Caesar salad, we were told it’s the best, the presentation is pretty but lacked in taste and the croutons seems as if they were out of the bag. Would definitely come back and try some other things...the desserts were out of this world! This evening there were eight of us that dined and everyone really enjoyed their meals. The soufflés are delicious. A shout out to Charlie our server who was excellent! We will all be back again! Very delightful restaurant and staff! 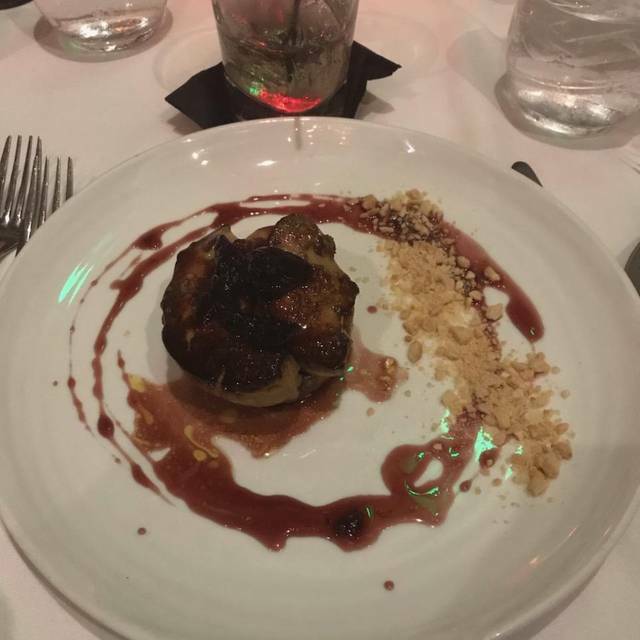 We had a extraordinary dining experience. The food and service was great. Patric our sever was outstanding. He was highly attentive and very helpful with our menu selections. Everything was wonderful as usual at La Nouvelle Maison. Unfortunately, a diner at a table next to ours was obnoxiously loud. This is of no fault whatsoever of the staff. Just unfortunate timing. Refined menu and service. 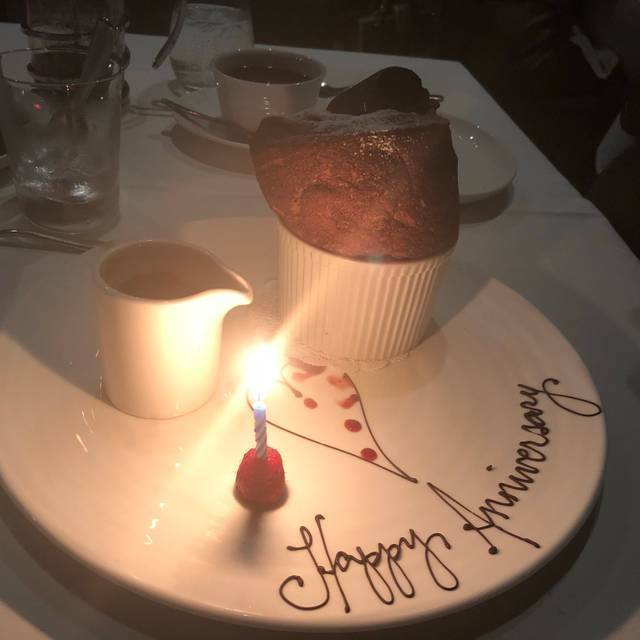 Perfect for an anniversary. Great place and great food. Good service. And a great place to take the family. 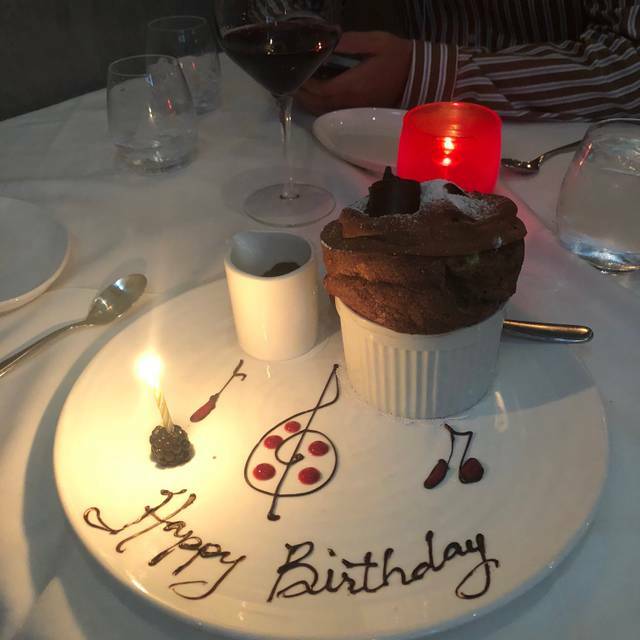 We decided to spend our anniversary and my husband's birthday celebrations at La Nouvelle Maison this year. While the food is very good and the service is fine, the noise level made the evening less than good. This is supposed to be a fine restaurant, but to seat parties of two in a narrow room with large parties is inconsiderate. I guess I could have asked to be moved, but that is not my style. And scallops were the best I ever had. We were sitting alongside the street area which I don’t care for. I should’ve requested the dining room. 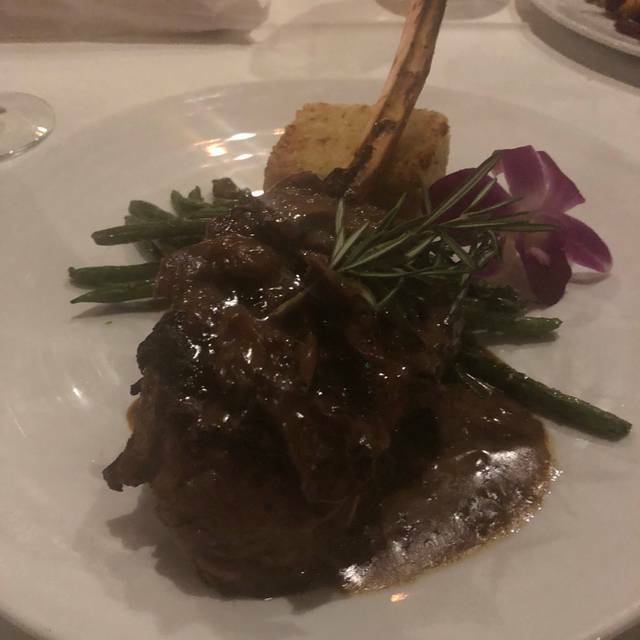 Best Restaurant in Boca Raton! Very noisy, not intimate dining in the French style. Tables packed in, no privacy. Not traditional French cooking or even nouvelle. Very expensive and interesting to note that entrees are delivered much to quickly which either means they want you to finish and go or food may be pre prepared. 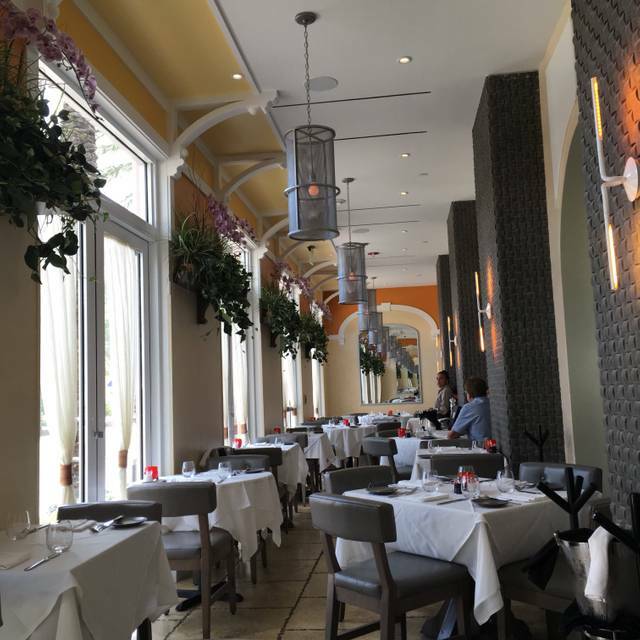 What a lovely, authentic French restaurant in Boca! I'm so glad I dined here! Thank you for the experience! Dinner was absolutely outstanding. 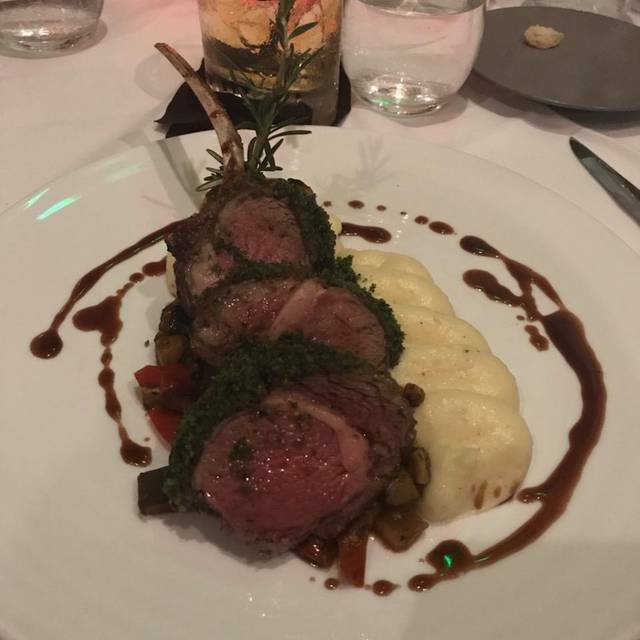 The food was delicious, service was wonderful and the entire experience was exceptional. It Hosts a Very Friendly Downtown Boca Crowd." ~With an Eye Pleasing White Decor, La Nouvelle Maison Definitely Delivers"
Delivering A Fine French Menu with something for Everyone. ... "The Onion Soup is a Must"! ~Say 'Hello' to 'Andrew' ... La Nouvelle's Mixologist is the Finest in Downtown Boca. Greets you with a smile. ... 'La Nouvelle is a 'Downtown Gem'! Adam was great. Very helpful and attentive. I was told after we sat down for dinner that they were out of chicken francaise and duck which were both listed on the menu. Since those were my two choices I had to order the onion soup which was an appetizer and a salad. How does a restaurant run out of chicken and duck which was both on the menu? The dessert was awful. It was supposed to be a warm apple tart and it had no flavor and it was not warmed up. I would not go back to this restaurant again. This is our favorite place to celebrate a special occasion or just a great night out. Food and service are the best in town. I started with the Lobster bisque, the best anywhere! We had escargot with lots of delicious garlic. 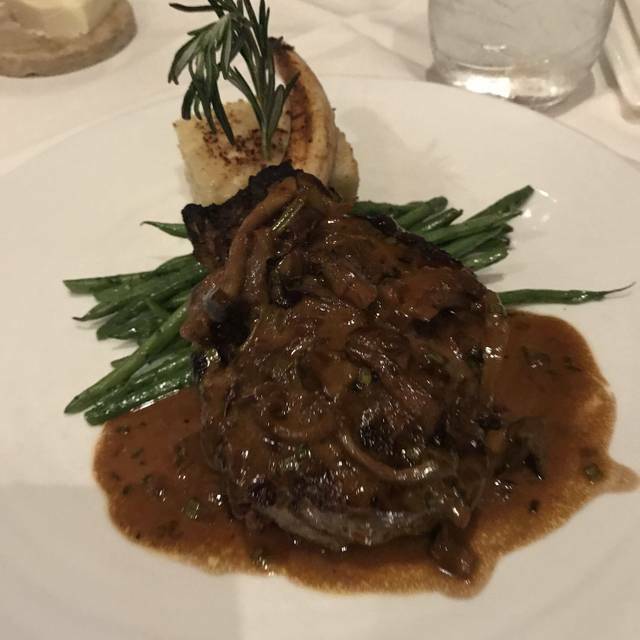 There is no better veal chop on the planet! Best Duck liver pate and Gran Marnier Souffles ever11! Very pleasant and accommodating staff. Nice ambience. Tables not on top of eachother. Always fabulous! David is the best waiter who is very attentive & knows what you need before you ask. Our go to place for any occasion. The Caesar Salad is a must as well as the breaded chicken. It’s delicious! We had an excellent dining experience. The food and service was extraordinary. The pear salad , lobster bisque and smoked salmon were delicious. The Dover sole entree was one of the best I have had. Our server Adam was highly professional and was very attentive to ensure we were happy with our selections. A very fine restaurant. A great experience. I highly recommend it. 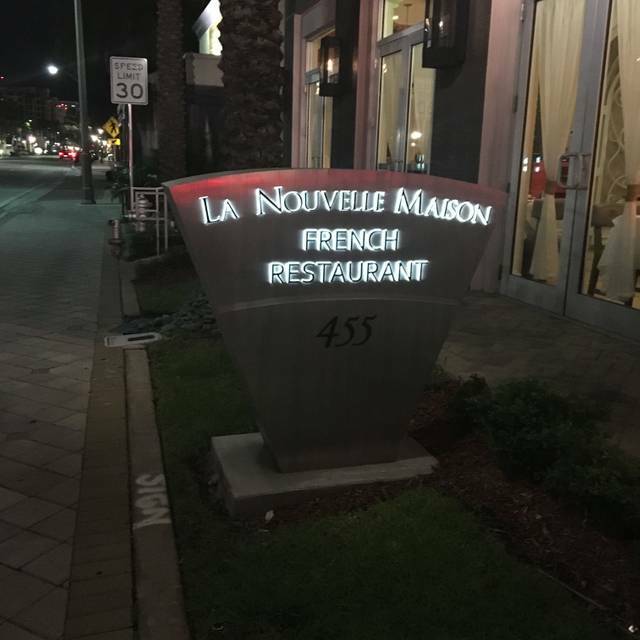 We frequently dine at La Nouvelle Maison. We rate our experiences as excellent. The food and the service are exceptional, and very consistent. In our view this is what makes for a dining experience to remember. A gem of a restaurant! David was the perfect waiter who was attentive & made sure we were happy. 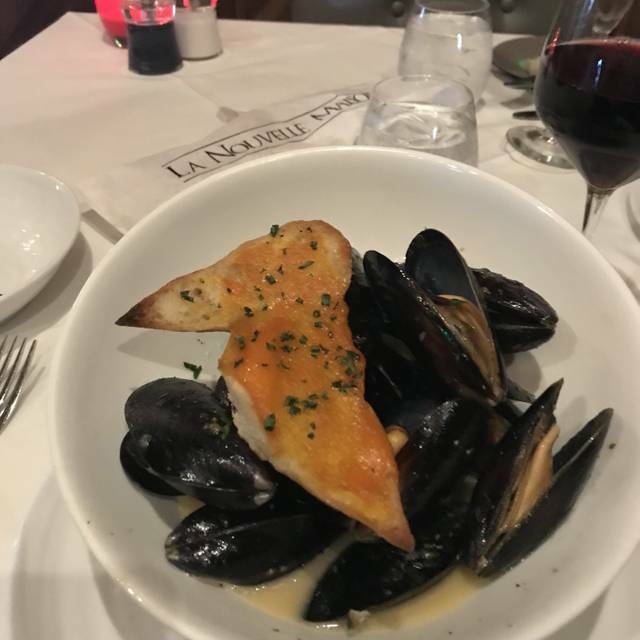 We always look forward to a lovely and consistently great meal when we eat at La Nouvelle Maison. The food is really delicious. I also felt the service was great. We like coming here for a nice quiet dinner.